Public Restrooms: restrooms are incredibly clean and very accessible. In Spain, anyone can use the restroom at restaurants, stores, etc, even if you were not a customer at such place. In Paris it’s even better…. there are public “toilettes” in almost every corner of the city. They are little domes, which clean themselves with the push of a button after each use. Once a person does their business, they get out of the little dome, push a button and the thing starts splashing water (you could hear it from the outside). The bowl is cleaned and the floor is washed, then the next person can go in and have a completely refreshed restroom.. It’s pretty cool! I was nicely surprised about the kindness of French people, since all I had heard about them is that they were really mean and didn’t really like Americans. Well, they happened to be nice and very attentive tourists. I will say that everyone except a couple of people defied the infamous label. Great surprise! Versatility with languages: the thought of not understanding what someone tells me always makes me very anxious. 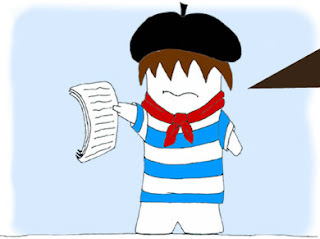 Although I took 3 years of French back in high school, I was sure that “oui” and “merci”, wouldn’t get me very far, so I stuck to English when trying to communicate with the people of France and I was impressed by how many people spoke English, Spanish and any other language. I would ask “Do you speak English?”, and they would reply “a little bit” and then go on with a full on conversation in the language of my choice. In Europe, speaking 2 and even 3 languages isn’t a big deal.. I guess that’s great being that Paris has such a high volume of tourists from all over the world…. Tips are not customary: coming from America, I am used to giving out at least 18% gratuity for almost every service I receive. Restaurant servers are particularly famous for making their living off the tips that customers give them. In Europe, however, tips are totally optional and almost rare when eating out. If someone spends 50 Euros on a meal, the server doesn’t expect anything for his/her service. I saw people living as little as 20 cents and most of the time nothing at all. At first I was shocked, but then I realized that’s just the way it is in this side of the world! Soda is more expensive than beer: I did say things aren’t THAT expensive, but this statement definitely doesn’t apply to soda. Not only is soda extremely expensive (I drank the most expensive bottle of 7Up in my life, for a whooping $7), but also beer is considerably cheaper than any kind of soda or bottled water… I’m talking $7 for a soda vs. $4 for a beer.. isn’t that nuts?? I thought so!